Extensions for almost any browser should be all about productivity. What can they do to make you more efficient? Safari has some excellent Gmail extensions that let you have your emails proofread, securely sent, scheduled, and even organized by customer. Starting with a very simple and handy extension is Gmail This. We already briefly discussed the Gmail This bookmarklet 10 Ingenious Bookmarklets To Make You a Google Power User 10 Ingenious Bookmarklets To Make You a Google Power User If you love all that Google has to offer, but are not particularly fond of the browser extensions available, here are 10 great bookmarklets for Google that range from search options to very specific tasks. Read More , but there is a convenient Safari extension for it that works great. With a single click of the icon, the Gmail This extension will automatically pop open an email with the URL of the website you are visiting pre-populated in the body. The subject line is filled in for you as well. So, all you have to do then is add your recipient and click Send. If you have more than one Gmail account, you can select which you would like to use. This is truly the fastest way to email a link to a friend via Gmail. This next Safari extension called eAngel is perfect if you write and send a lot of business emails via Gmail. What eAngel does is proofreads your emails for you, makes corrections where necessary, and then sends them to your recipients as you intended. After composing your email, just click the Send with eAngel button instead of the default Send button. Your email will then be sent to a team of email angels who will check it for grammar, spelling, punctuation, and proper word usage. eAngel works with English, Spanish, French, German, and Hebrew, although keep in mind the service does not include translations. Once your email has been sent, you will receive a response from eAngel showing the corrections that were made to your original message. There is a free trial available which gives you up to five emails or 500 words. If you enjoy the service and plan to use it regularly, there are eAngel plans available starting at $5 per month that go up to $34 per month, depending on the reviewed words or character count you need. The eAngel extension is a very convenient tool to have for Safari. It can save you time and even embarrassment by checking your emails before they reach your recipients. Not only will the Criptext extension send your Gmail messages and attachments securely, but it also provides tracking, expiration timers, and a recall feature. Criptext encrypts your messages The 3 Most Secure & Encrypted Email Providers Online The 3 Most Secure & Encrypted Email Providers Online Fed up with government surveillance? Concerned your emails might be read by third parties? If so, it's worth looking at an encrypted email solution to protect your messages. Read More and attachments up to 100 MB. When it is time to send your email, just select the secure icon at the bottom of the Gmail compose window. You can then add a secure attachment, customize the expiration, or schedule the email to be sent later. The extension lets you manually recall an email you sent, even if it has been opened. You can easily view your activity showing when an email is opened along with the location of the recipient. This extension is great for putting you in control of your Gmail messages. Criptext also works on mobile devices for secure messaging on both iOS [No longer available] and Android [No longer available]. The Safari Boomerang extension for Gmail is an awesome tool providing scheduling as well as reminders. 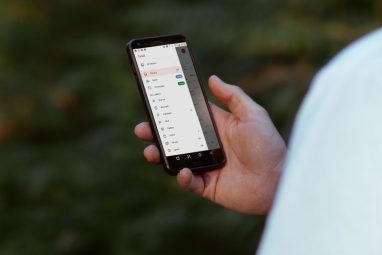 For scheduling a message Schedule Your Messages Inside Gmail With Boomerang Schedule Your Messages Inside Gmail With Boomerang Baydin (the company behind Boomerang) has just announced that users can reschedule messages inside Gmail once they have already been scheduled. Read More , you will see the Send Later button at the bottom of your compose window. Just select it and choose from a completely customizable list of options which includes a recurring schedule. You can also select the question mark icon which will inform your recipient in the body of the email that a read receipt has been requested. As for the reminders, just select the email you want within your inbox and click the Boomerang button at the top. Choose from the list or customize your own reminder. This is so handy for emails that you want to go back to later, like upcoming bills, follow-up messages, or other action items. You can even personalize the menu that pops up for the scheduler and reminders with Boomerang. Boomerang also provides you a nice control center to see messages scheduled for later, recurring messages, and those that are being tracked. This is just a terrific tool. Streak is very useful extensive if you manage your business emails via Gmail. 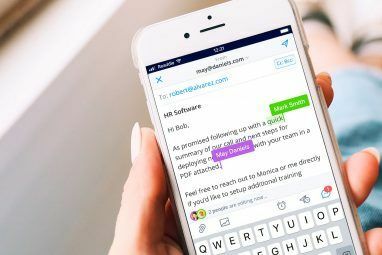 This extension transforms your view allowing you to collaborate easily Team Working: 10 Tips For Effective Real-Time Online Collaboration Team Working: 10 Tips For Effective Real-Time Online Collaboration Read More , track simply, and manage your emails more effectively. Streak provides essential CRM tools and can be used for Sales, Product Development, Hiring, Real Estate, and more. Once the extension is installed and added to your Gmail account, you will see the Pipelines Folder. Depending on what you initially set it up for (which can be edited at any time), you will then see emails color coded by category along with a clearly marked summary view at the top. Email tools include message tracking, mail merge, snippets for creating emails faster, and a scheduling feature. Streak not only works well for business, but can be used for event or trip planning and even wedding preparations. The Streak plans start with a five-user limit for free and go up to $119 per month for the Enterprise Plan. 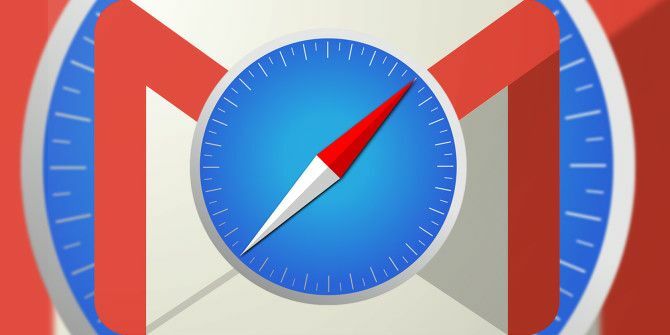 Which Safari Gmail Powerhouse Extension do You Use? These are all great extensions and each do different things. One may suit your needs more than another. Do you use any of these or plan to now? 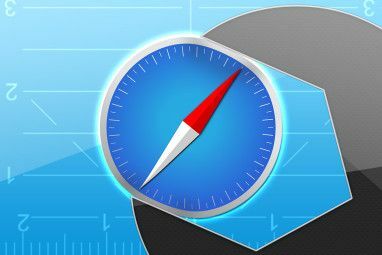 Or, maybe you know of another Safari extension 10 Must-Have Safari Web Extensions To Increase Your Productivity 10 Must-Have Safari Web Extensions To Increase Your Productivity Safari is sleek, powerful, intuitive and well-connected -- but it can also simplify your life. Here's how you can turn Safari into a productivity powerhouse. Read More for Gmail that goes way beyond what these do? Please share your comments below! Explore more about: Gmail, Safari Browser. I don't find ANY GMAIL-THIS extension for Safari. Apple has no sign of it in the store. All I want is Gmail Counter ... in the previous Safari it was an extension/icon that would open my gmail account. Seems gone now as a download, but is it still resident on one of my MacBooks with current OS. Any help?